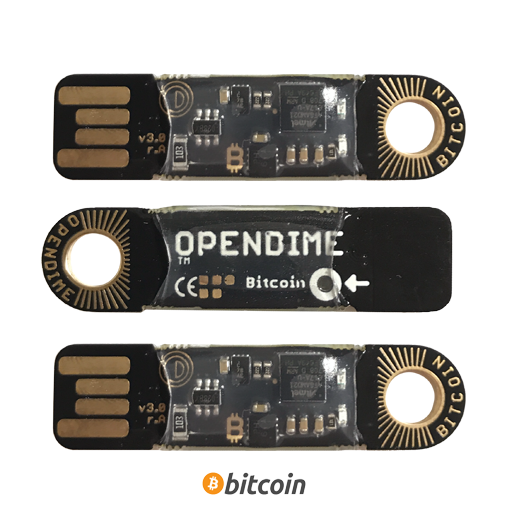 Coinkite Store – Get your Coinkite, Opendime and Coldcard product here! 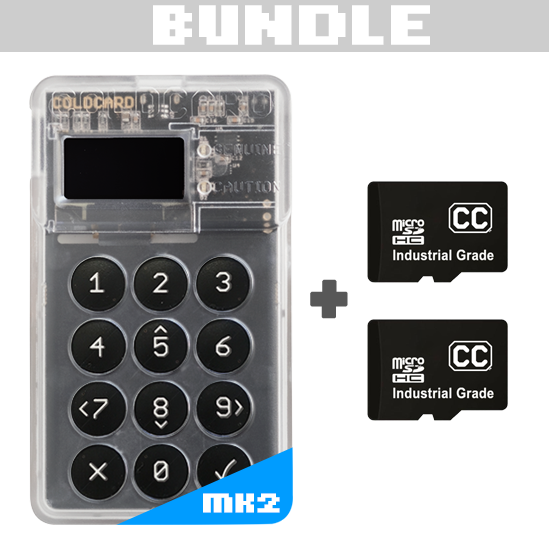 One Two Three Four Five Six Seven Eight Nine 10 15 25 50 100 Contact support@coinkite.com for special pricing on larger quantities. New! 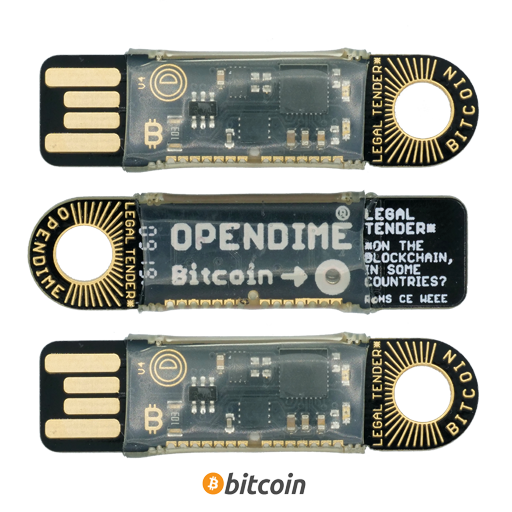 Fourth generation of the Opendime: a small USB stick that allows you to spend Bitcoin like a dollar bill. Pass it along multiple times. Connect to any USB to check balance. Unseal anytime. 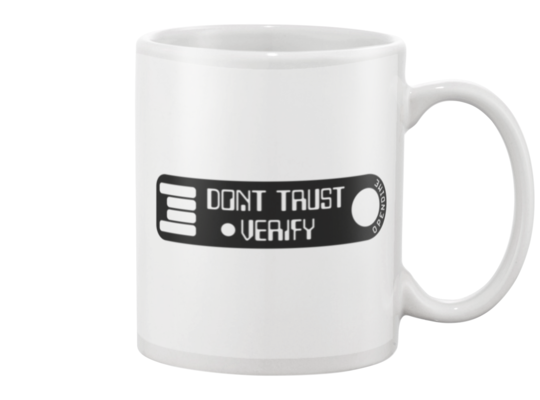 Trust no one. One 3-Pack (v4) 2 x 3-Packs (v4) 3 x 3-Packs (v4) 4 x 3-Packs (v4) 5 x 3-Packs (v4) 6 x 3-Packs (v4) 7 x 3-Packs (v4) 8 x 3-Packs (v4) 9 x 3-Packs (v4) 10 x 3-Packs (v4) 11 x 3-Packs (v4) 12 x 3-Packs (v4) 13 x 3-Packs (v4) 14 x 3-Packs (v4) 15 x 3-Packs (v4) 16 x 3-Packs (v4) 17 x 3-Packs (v4) 18 x 3-Packs (v4) 19 x 3-Packs (v4) 20 x 3-Packs (v4) 21 x 3-Packs (v4) 22 x 3-Packs (v4) 23 x 3-Packs (v4) 24 x 3-Packs (v4) 25 x 3-Packs (v4) 26 x 3-Packs (v4) 27 x 3-Packs (v4) 28 x 3-Packs (v4) 29 x 3-Packs (v4) 30 x 3-Packs (v4) 31 x 3-Packs (v4) 32 x 3-Packs (v4) 33 x 3-Packs (v4) (99 for $1185.03) 66 x 3-Packs (v4) (198 for $2174.04) Contact support@coinkite.com for special pricing on larger quantities. 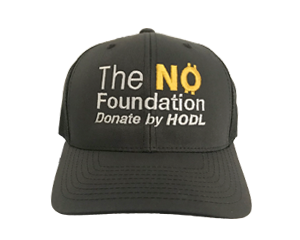 Get into the first batch now! 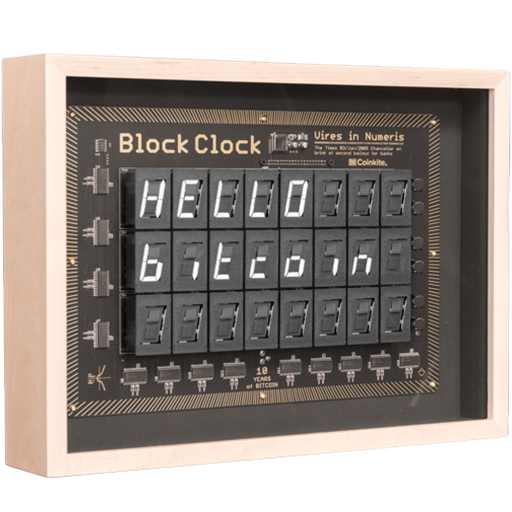 In celebration of ten years of Bitcoin: The Block Clock. 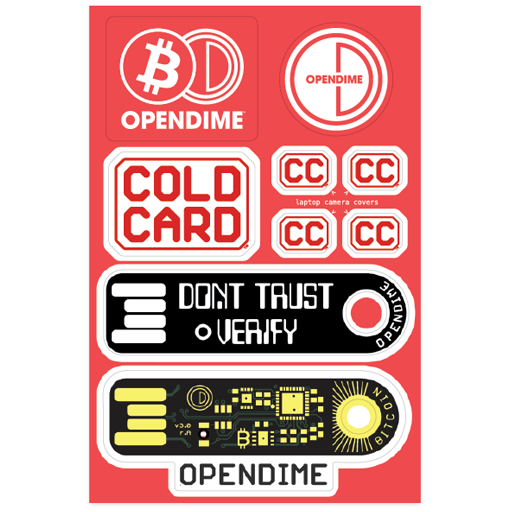 An electro-mechanical clock and price ticker designed for Bitcoin and related coins. Track prices from different exchanges, follow Electrum servers on your favourite chain. Includes wireless remote control, free DHL shipping. Built to order: 6 week lead time. 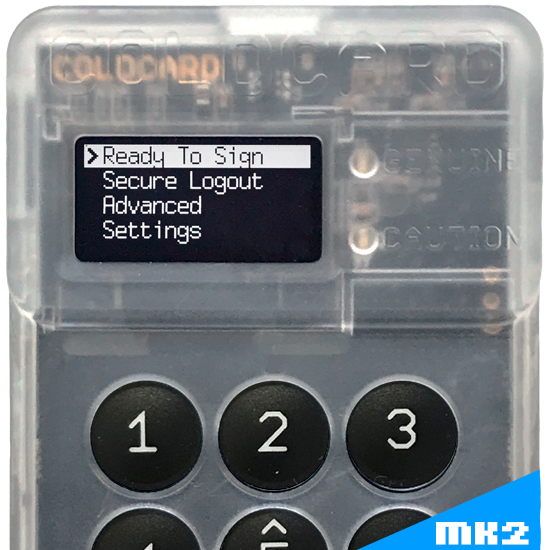 One Coldcard (Mk2) 2 Coldcards (Mk2) 3 Coldcards (Mk2) 4 Coldcards (Mk2) 5 Coldcards (Mk2) 6 Coldcards (Mk2) 7 Coldcards (Mk2) 8 Coldcards (Mk2) 9 Coldcards (Mk2) 10 Coldcards (Mk2) 11 Coldcards (Mk2) 12 Coldcards (Mk2) 13 Coldcards (Mk2) 14 Coldcards (Mk2) 15 Coldcards (Mk2) 16 Coldcards (Mk2) 17 Coldcards (Mk2) 18 Coldcards (Mk2) 19 Coldcards (Mk2) 20 Coldcards (Mk2) 21 Coldcards (Mk2) 22 Coldcards (Mk2) 23 Coldcards (Mk2) 24 Coldcards (Mk2) 25 Coldcards (Mk2) 26 Coldcards (Mk2) 27 Coldcards (Mk2) 28 Coldcards (Mk2) 29 Coldcards (Mk2) 30 Coldcards (Mk2) 31 Coldcards (Mk2) 32 Coldcards (Mk2) 33 Coldcards (Mk2) 34 Coldcards (Mk2) 35 Coldcards (Mk2) 36 Coldcards (Mk2) 37 Coldcards (Mk2) 38 Coldcards (Mk2) 39 Coldcards (Mk2) 40 Coldcards (Mk2) 41 Coldcards (Mk2) 42 Coldcards (Mk2) 43 Coldcards (Mk2) 44 Coldcards (Mk2) 45 Coldcards (Mk2) 46 Coldcards (Mk2) 47 Coldcards (Mk2) 48 Coldcards (Mk2) 49 Coldcards (Mk2) 50 Coldcards (Mk2) 51 Coldcards (Mk2) 52 Coldcards (Mk2) 53 Coldcards (Mk2) 54 Coldcards (Mk2) 55 Coldcards (Mk2) 56 Coldcards (Mk2) 57 Coldcards (Mk2) 58 Coldcards (Mk2) 59 Coldcards (Mk2) 60 Coldcards (Mk2) 61 Coldcards (Mk2) 62 Coldcards (Mk2) 63 Coldcards (Mk2) 64 Coldcards (Mk2) 65 Coldcards (Mk2) 66 Coldcards (Mk2) 67 Coldcards (Mk2) 68 Coldcards (Mk2) 69 Coldcards (Mk2) 70 Coldcards (Mk2) 71 Coldcards (Mk2) 72 Coldcards (Mk2) 73 Coldcards (Mk2) 74 Coldcards (Mk2) 75 Coldcards (Mk2) 76 Coldcards (Mk2) 77 Coldcards (Mk2) 78 Coldcards (Mk2) 79 Coldcards (Mk2) 80 Coldcards (Mk2) 81 Coldcards (Mk2) 82 Coldcards (Mk2) 83 Coldcards (Mk2) 84 Coldcards (Mk2) 85 Coldcards (Mk2) 86 Coldcards (Mk2) 87 Coldcards (Mk2) 88 Coldcards (Mk2) 89 Coldcards (Mk2) 90 Coldcards (Mk2) 91 Coldcards (Mk2) 92 Coldcards (Mk2) 93 Coldcards (Mk2) 94 Coldcards (Mk2) 95 Coldcards (Mk2) 96 Coldcards (Mk2) 97 Coldcards (Mk2) 98 Coldcards (Mk2) 99 Coldcards (Mk2) Contact support@coinkite.com for special pricing on larger quantities. Save your spot in line! One 3-Pack 2 x 3-Packs 3 x 3-Packs 4 x 3-Packs 5 x 3-Packs 6 x 3-Packs 7 x 3-Packs 8 x 3-Packs 9 x 3-Packs 10 x 3-Packs 11 x 3-Packs 12 x 3-Packs 13 x 3-Packs 14 x 3-Packs 15 x 3-Packs 16 x 3-Packs 17 x 3-Packs 18 x 3-Packs 19 x 3-Packs 20 x 3-Packs 21 x 3-Packs 22 x 3-Packs 23 x 3-Packs 24 x 3-Packs 25 x 3-Packs 26 x 3-Packs 27 x 3-Packs 28 x 3-Packs 29 x 3-Packs 30 x 3-Packs 31 x 3-Packs 32 x 3-Packs 33 x 3-Packs (99 for $1185.03) 66 x 3-Packs (198 for $2174.04) Contact support@coinkite.com for special pricing on larger quantities. 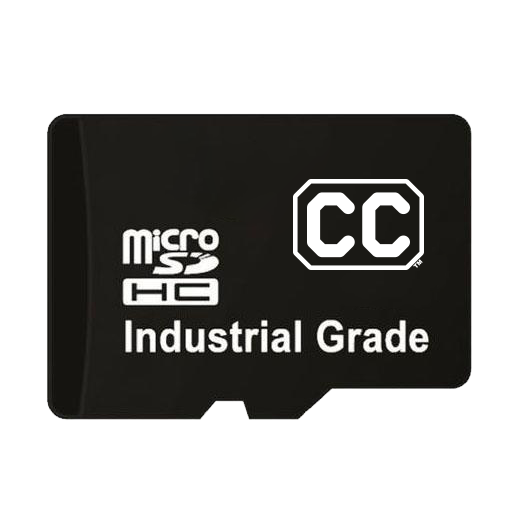 Industrial Grade MicroSD for secure Coldcard backups. True SLC design w/ wear-leveling & block mgmt. Environmental tested (bend / torque / salt spray / solar radiation) and harsh temperatures: -40°C to +85°C. Propaganda for the outside of your head. 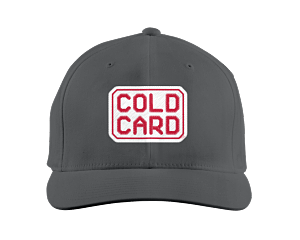 Black, one-size, 5-panel "trucker-style" cap. 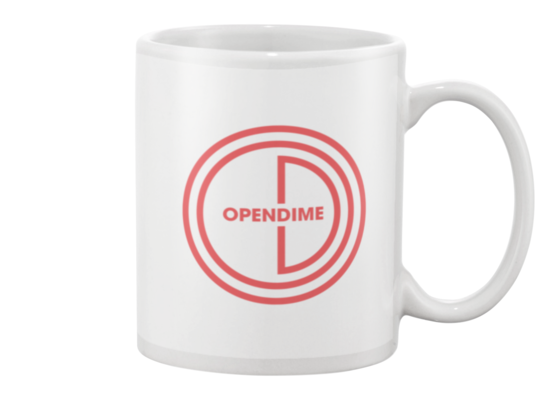 You can't put Bitcoin in it... but it does hodl your coffee! Your cart now contains a mixture of ready-to-ship items, out of stock and/or preorder items. You can save on shipping costs by doing this, but your shipment will not be sent until the entire order is ready. For faster shipping, consider making two purchases. Your cart now contains a mixture of items, or more than one large item. This special item requires special handling and cannot be combined with other items, nor multiples of the same item. Please make two purchases so we can provide the best service. 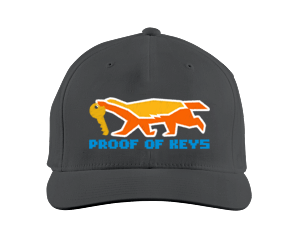 Copyright © 2018 by Coinkite Inc.